Ready to take that first step onto the property ladder? Here’s everything you need to know about the complicated world of first time buyer finance. Buying a home for the first time can be exciting and exacting in equal measure. To ensure that you are fully prepared for the (frequently rocky) road ahead, you will need to familiarise yourself with a few things. Remember, knowledge is power. Most banks will ask you to pay at least 5% of the value of the property for a deposit . However, it’s always a good idea to save as much as you can in advance, as this obviously reduces the amount that you will have to pay back in the long term and also gives you a much wider choice of cheaper mortgage products in the short term. This is usually calculated by taking three all important factors into account: salary, outgoings and credit history. Outgoing variables such as the number of children or other dependents that you have, outstanding loans, bills, insurance and other such obligations are calculated alongside your salary in order to work out how much you will be able to afford to repay per month. Other income such as pensions, investments or earnings that fall outside your main salary will also be considered. Credit checks are undertaken to see if you have suffered from bad debts, payment arrears or even bankruptcy in the past. Evidence of such debts will obviously decrease your chances of a loan. 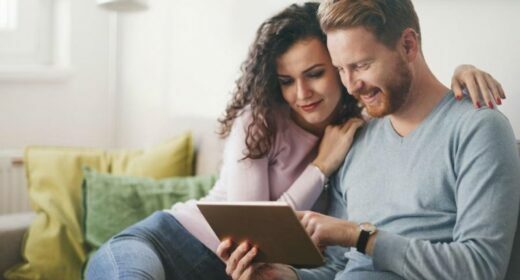 Lenders will also ‘stress test’ your finances to assess whether you could keep up repayments if, for example, interest rates increased or your personal circumstances changed as a result of redundancy, illness or pregnancy. Mortgage rates are calculated depending upon whether you choose a fixed or variable rate of interest. Fixed rate mortgages are often favoured by first time buyers as they are not subject to the rise and fall of interest rates and therefore offer a greater peace of mind. Although the average rate of interest is usually less competitive than that of a variable rate, intensifying competition amongst lenders are now pushing fixed mortgages to historically low rates. The disadvantage of a fixed rate mortgage is that they usually carry a penalty, known as an Early Repayment Charge, if you choose to leave your mortgage before the end of your term. Most lenders will fix your mortgage rate for a period of between two – five years although longer periods of 10 years (and even more) will be available. There are two major types of variable rate mortgage. The first is directly linked to the Bank of England base rate and moves in line with changes made (either up or down) to that rate. With the current base rate at an all-time low, these mortgages can seem extremely tempting to the first-time buyer. However, sudden or major fluctuations in the rate could impact disastrously on repayment levels at a future-point and should be regarded with a degree of caution. The second variable type, known as a Discount mortgage, is pegged to a rate that is set by the lender. This is known as a Standard Variable Rate or SVR. These tend to be less popular with first time buyers as they can change at any point (irrespective of changes made by the Bank of England). Some mortgages come with a product fee or arrangement fee. These can range from a few hundred pounds to 1% of the mortgage – not an insignificant amount of money! Some lenders insist you pay the fees up front; others add it to the mortgage. Several lenders offer mortgages designed to help first time buyers to get onto the property ladder. Though these have different names depending on the lender they essentially all involve getting help from family. This could mean a parent or relative acts as a guarantor for your loan in the event you’re unable to make the repayments (if the lender knows the mortgage will be repaid regardless they’re more likely to approve your application). In some cases, such as the Barclays springboard mortgage, the guarantor must open a savings account with the lender and keep a certain amount of funds in it for a set period of time. There are also a number of government schemes available for first time buyers, including Help to Buy and Shared Ownership. Both come with their benefits and some pitfalls to beware of. With Help to Buy, the government will lend you up to 20% of the value of a property in the form of an equity loan. You will have to find a 5% deposit and secure a mortgage to cover the other 75% of the cost of the property. Shared Ownership allows you to buy part of the property and rent the other part. Over time you can buy more of the property until you own the whole thing. Read more on this and other ways the government can help in our guide to government schemes. Lenders will require you to have a mortgage valuation so they can assess whether a property is worth the amount they are lending. In addition, there are three main types of survey which can be undertaken in order to flag up any potential issues with a property – Condition reports, Homebuyer reports and Building reports. For more information about surveys and what’s what, read our guide What survey should I have? The conveyancing process covers the transfer of property ownership from one party to another and begins once you have had an offer on a property accepted. Fees vary but are usually calculated at around £800 on an average price house purchase. Online conveyancers are often cheaper. Sadly, things can go wrong in the property process and statistics show one in three house sales do fall through. Homebuyers Protection Insurance is a useful product to have as it allows you to claim back for money you’ve already spent on things like solicitors fees and surveys if your purchase falls through.